This is brand new and unused. 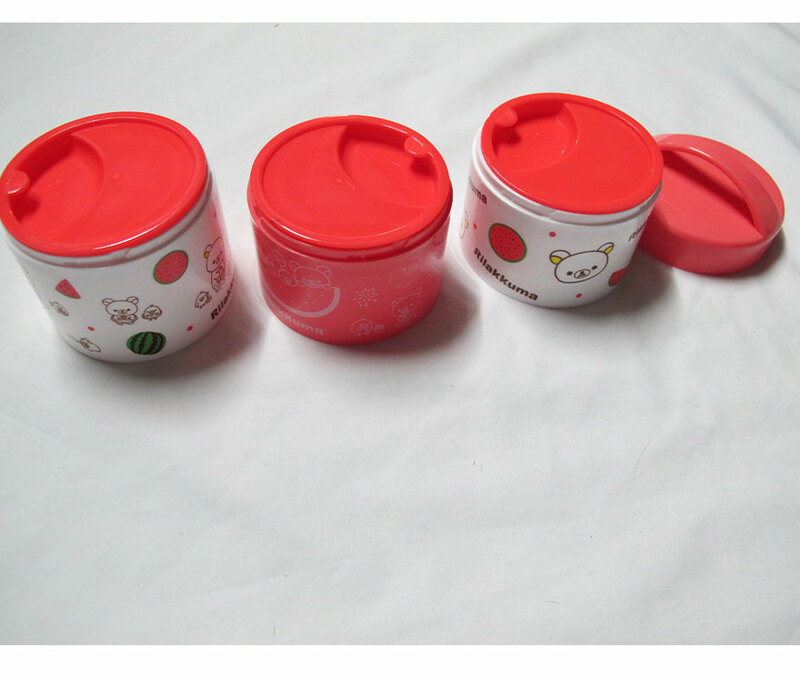 Cute stacking Japanese style bento lunch box. 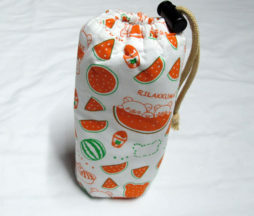 Take your lunch is style! This item was displayed for some time but not really played with, so it is in good shape. It still has the original tag as well. 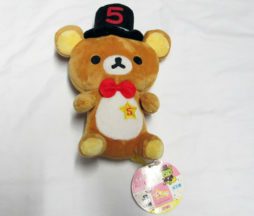 Very cute Rilakkuma, looking snazzy in his top hat! This item in brand new an unsused. 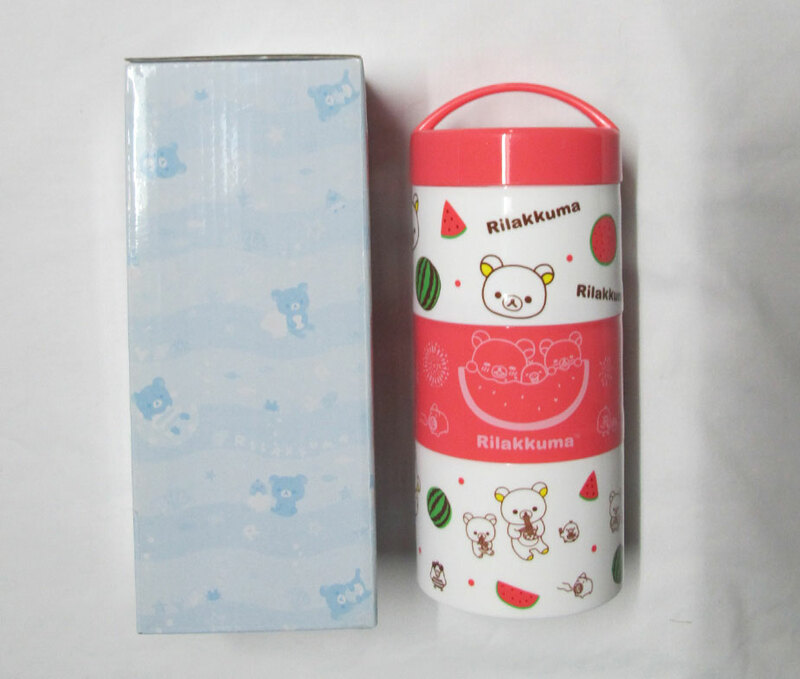 It is a cover for your drink bottle to insulate and keep it from sweating all over everything inside your bag. 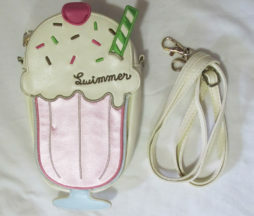 Cute summery print!